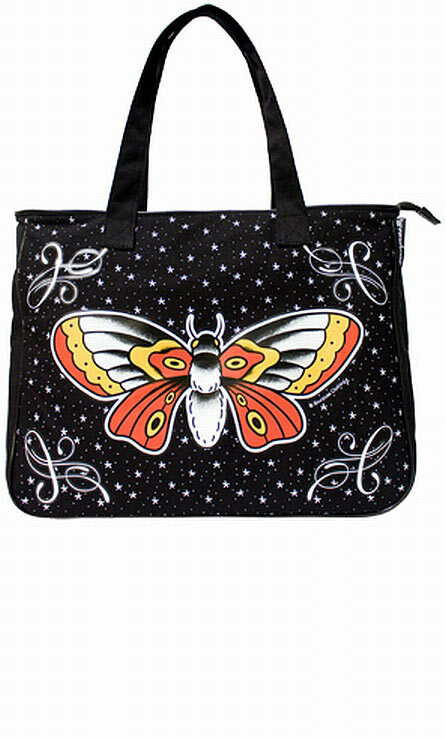 One of our favorite bags, the Deadly Moth! 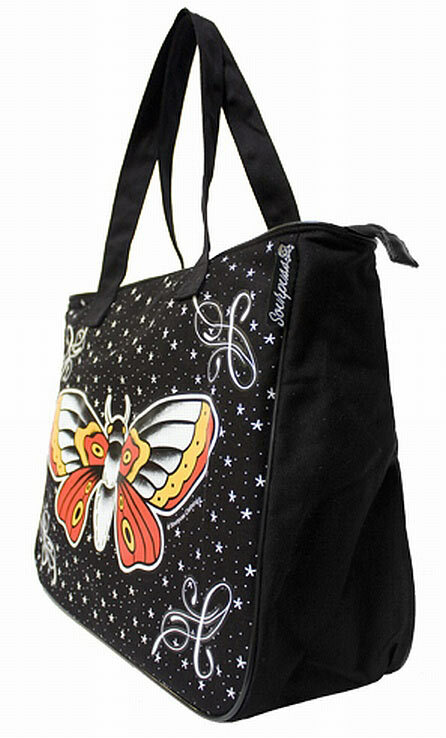 This black canvas bag has a traditional tattoo moth design that is surrounded in filigree, stars & dots. 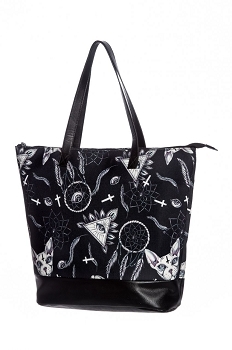 This bag has a zip top & is trimmed in matte vinyl. Dimension: 16" x 12" x 6"
This bag is awesome. Just what the pic shows it to be and large enough to hold everything. And the moth is gorgeous.